During installation you will be asked whether to run ProFTPD as an Inetd or as Standalone Service. Choose the standalone option and proceed. After successful installation of ProFTPD, we will make some changes in the configuration files. Config file for ProFTPD is located in /etc/proftpd/ directory. Let’s edit proftpd.conf file with nano editor. 1. Anonymous FTP Access, this provides access to anyone without the need to have a user account and password entered. 2. Access with username and password, this way only authentic users can access the ftp server. We will configure option 2 here because it’s more secure and recommended. Before we could create a user for Proftpd, we will add /bin/false to /etc/shells file. And now we will create a user with a home directory where he will get access to FTP Server. We will disable shell access for this user by assigning the “/bin/false” shell to him to make sure that he can not login by SSH. For this instance we will use the username “alice”, please feel free to replace Alice with the username of your choice. 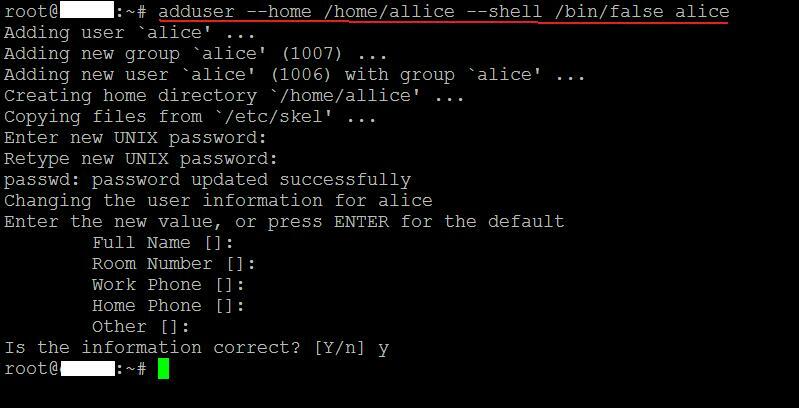 This above command will create a new user called ‘Alice’ with home directory /home/alice/ and without shell access /bin/false. 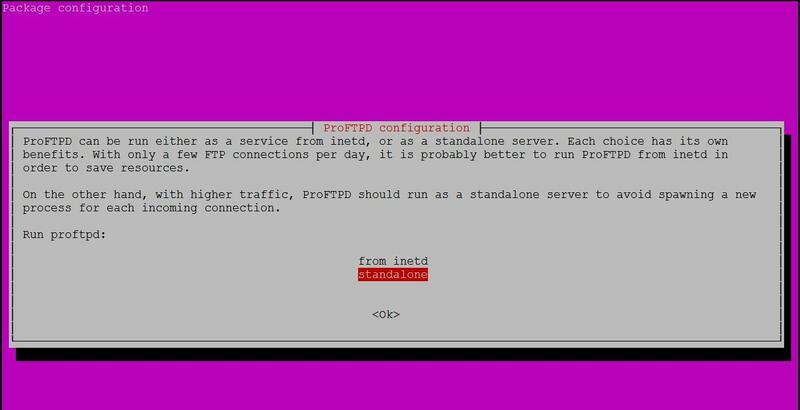 And now we will configure Proftpd to allow the user ‘Alice’ to access the FTP server. This command will generate a certificate file by the name proftpd.crt in directory /etc/ssl/certs/ , and a certificate key fileproftpd.key in the /etc/ssl/private/ directory. Note: If your ProFTPD service is some how not restarted, then we will follow this manual method. To test the configuration, try connect to your ftp server with an FTP client. We’ll use simple ftp-ssl command to verify that encryption is enabled. When asked for username type ‘Alice’ (or the username you created) and its corresponding password.